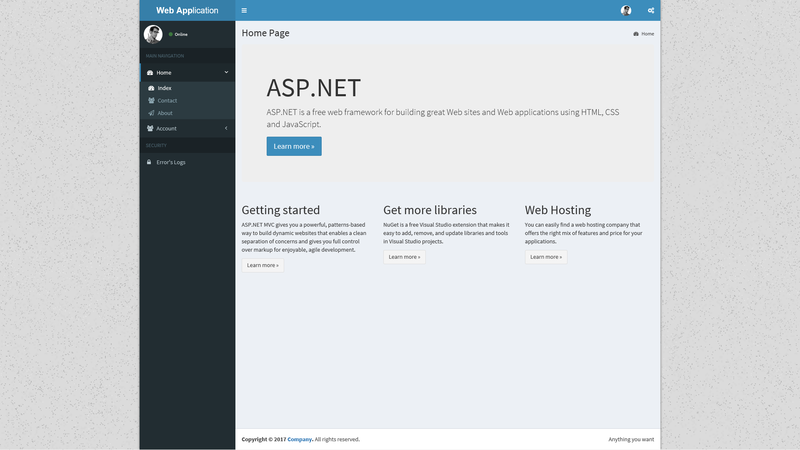 A multi-project template solution using AdminLTE as front-end for an ASP.NET MVC4.5 application with AngularJS. It is also included our own modifications for the jTable library to be used with bootstrap. A multi-project template solution using AdminLTE as front-end for an ASP.NET MVC4.5 application. It is also included our own modifications for the jTable library to be used with bootstrap. Some libraries (like AngularJS or AutoMapper) are not mandatory. I accept suggestions and recommendations. Changing the skin. The selected configuration is save in user’s local storage. Another page showing Pace.js implementation. 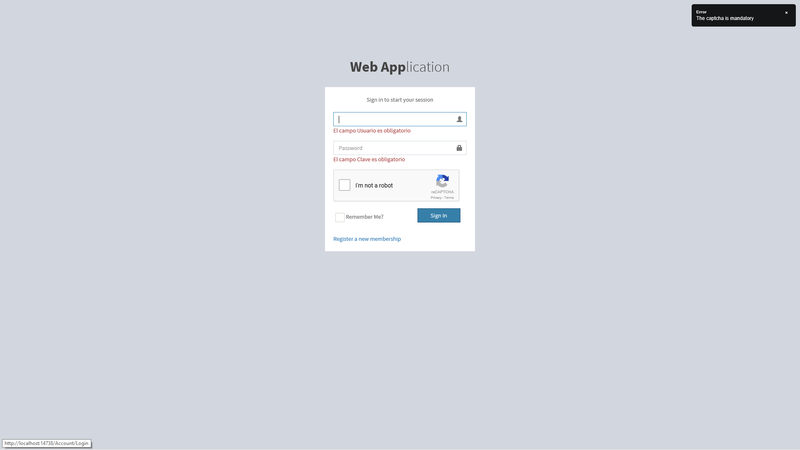 Login page with client side authentication and Googles Recaptcha.